Democrats feel encouraged by the new map, while Republicans are understandably concerned this new congressional map could take away some of the party’s control. But behind these concerns is the truth that both Democrats and Republicans put too much weight on the power of a congressional map to carry their party to victory at the polls. Under old district lines, Democrats could partly blame their inability to secure seats in Congress on partisan district lines. But if they meet the same fate in upcoming elections, Democrats won’t be able to blame district lines on the loss because the new map, in theory, doesn’t favor either party. The redrawn map is much cleaner and more compact than its 2011 predecessor, and the districts align much more with county lines. This new map will make Pennsylvania a more competitive state for seats in Congress, too, leveling the playing field between Republicans and Democrats — and potentially making it easier for Democrats to take control of Congress. In typical fashion, President Donald Trump was quick to voice his displeasure on Twitter at the thought of the Republican party facing a potential disadvantage. Even though the old map gave Republicans a legally-affirmed unfair advantage in district voting, Trump is urging Republicans to fight against the new version of the map. “It’s the ultimate gerrymander,” said Scarnati and Turzai, examining the map. But partisan gerrymandering shouldn’t be an issue, considering Nathaniel Persily, a redistricting expert and Stanford University Law professor, drew the new map to correct gerrymandering. Republicans shouldn’t be so quick to worry about the new map’s effects, but instead, take this opportunity to stand firm in their party values and platforms. State Rep. Rick Saccone, a Republican running for a congressional seat in March, said though the judiciary should not have stepped into legislative territory in redrawing the map, he won’t let it deter him in winning the race against former federal prosecutor Conor Lamb, a Democrat. 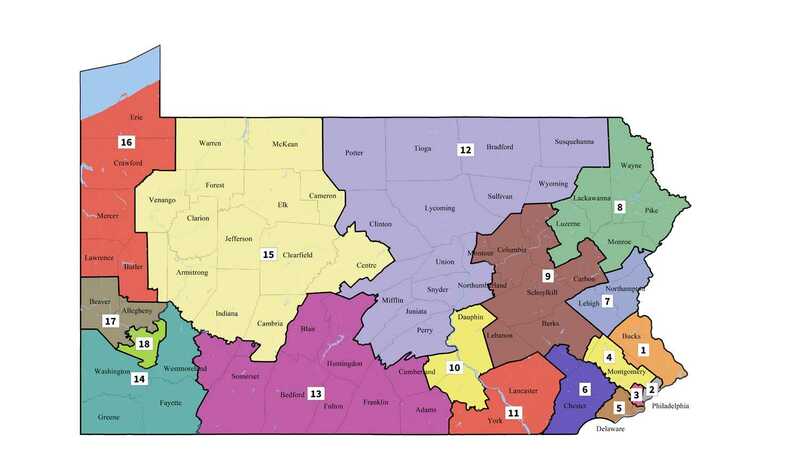 Whatever party affiliations they have, Pennsylvania voters can take this new map as a cue to participate in upcoming elections, knowing their votes will not be subject to unfair treatment from erroneously drawn district lines. And those running for a seat in upcoming elections no longer can rely on their district advantages or disadvantages as a crutch to justify their losses or wins.